Even non-smokers have to agree that a visit to Cuba would not be complete without investigating the island's most famous export: cigars. The art of cigar-making in Cuba is old and a source of national pride. The three main factories in Havana offer tours for visitors to see how the cigars are still rolled by hand. 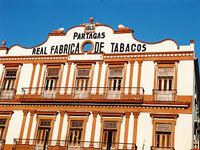 In the oldest factory, Partagas, founded in 1827, a reader is traditionally employed to keep workers entertained while they fashion the famous cigars; apparently this is the reason some of the famous cigars are named after literary characters. Tours run every 20-30 minutes, depending on what language you want to be guided in. A tour lasts about 45 minutes. Havana's other cigar factories are La Corona and the lesser-visited Romeo y Julieta. There are shops attached to the factories where cigars can be purchased. Visitors are advised not to buy cigars from people off the street, as these are usually rolled banana leaves fashioned into cigar look-alikes and the sellers are persistent hustlers. Los Cohiba Esplendidos are supposed to be the best cigars in Cuba, formerly only available to Fidel Castro.